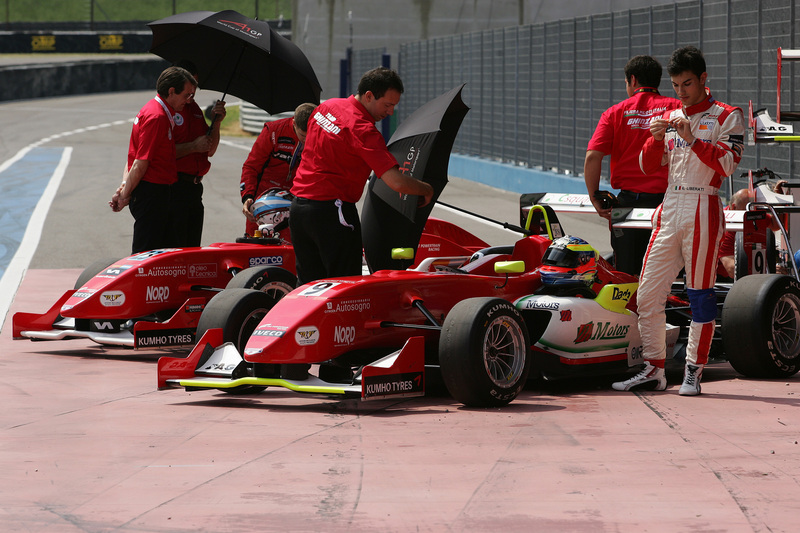 26/05/2011 - Edoardo Liberati has been again the fastest driver in the collective tests of the Italian Formula 3 Championship. Team Ghinzani's driver, author if the pole position in the opening round in Franciacorta, set the pace in Misano's tests where his best time was 1´31.385 at an average speed of 166,478 km/h. Second was the Italian Formula Azzurra 2008 Champion, Victor Guerin (Lucidi Motors), who also set the fastest time in the morning session and in the afternoon was just a bit more than two tenths slower than Liberati, while behind the best rookie in the classification was Daniel Mancinelli (RP Motorsport) author last year of the fastest lap of Misano's race two last year, the only race on dry conditions, with a laptime of 1´31.766 at 165.787 km/h. The fourth absolute time and second of the rookies was the Clifornian Michael Lewis (Prema Powerteam), followed by Sergio Campana (BVM-Target), Kevin Giovesi (Lucidi Motors) and Eddie Cheever just 7 thousands of a second shy his team leader. Stuck in traffic when running on new tyres, the Argentine Facu Regalia (Team Ghinzani) could not do better than the eighth time and finished ahead of the French couple of BVM-Target, Maxime Jousse and Brandon Maisano, that complete the top 10. To demonstrate the incredible balance of the championship, it is the Top-8 all enclosed within less than 6 tenth of second. The appointment is now for next 3 - 5 June in Misano for the second round of the season.